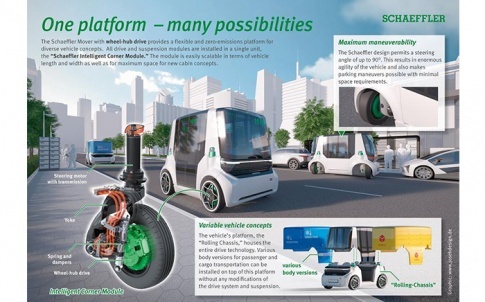 Schaeffler’s engineers have developed a second generation of systems based on the RUE-E 4.0 linear recirculating roller bearing and guideway assembly, which was first presented to the world as a study at EMO 2015. This new generation is currently in the pilot production phase. Like the RUE-E 4.0, this new system comprises of a carriage that runs on profiled guide rails and is equipped with integrated sensors, an electronic evaluation system in a compact housing, and an automatic lubricator such as the FAG Concept8. The new electronic evaluation system allows up to six carriages to be monitored on each axis. Integrating the sensors into the linear guidance system’s design envelope was a major challenge during the development process. As part of the new development, a sensor was developed for the specific purpose of recording the lubrication conditions in the carriages and for the space available on the roller guidance systems. 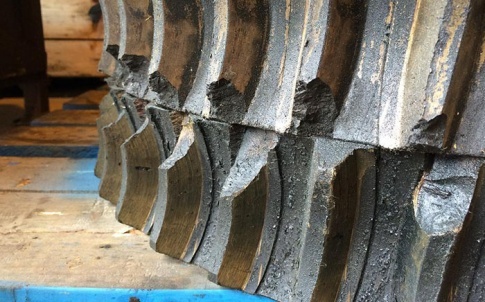 As the lubricant ages or the quantity of lubricant decreases, the lubricant loses its damping effect in rolling contact. The new innovative system makes use of this relationship. Due to the decreasing thickness of the lubricant film in rolling contact, the rolling elements transfer increasingly more vibration energy to the saddle plate. 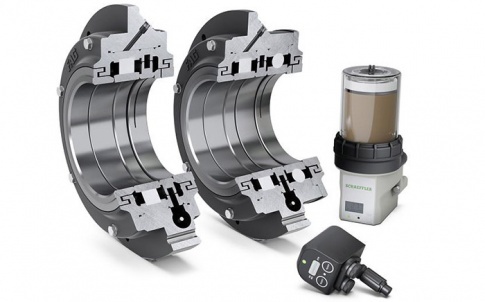 A threshold value (lubrication indicator) is generated based on the bearing’s new condition (i.e. the target situation) and the system automatically triggers a relubricating pulse on the lubricator (e.g. Concept8) when this value is exceeded. If an axis is only subjected to short travel distances and low machining forces, the system will trigger less frequent lubricating pulses, which become more frequent as load conditions increase. If foreign bodies get into the carriage as a result of contamination or the carriage becomes contaminated with cooling lubricant, this is immediately detected through the solid-borne sound emissions, evaluated, and a lubricating pulse is triggered. As long as the solid-borne sound emissions are above the threshold value, the lubricating pulses are repeated. As a result, the contamination is flushed out of the carriage along with the lubricant. If the key values return to a normal level again after the lubricating pulses, the raceways and rolling elements have not been damaged by the contamination. Without this innovation, the linear guidance system would remain in operation with contamination in the rolling contacts until the next planned lubricating interval – and would therefore suffer corresponding initial damage, with premature total failure of the linear axis as the inevitable consequence. 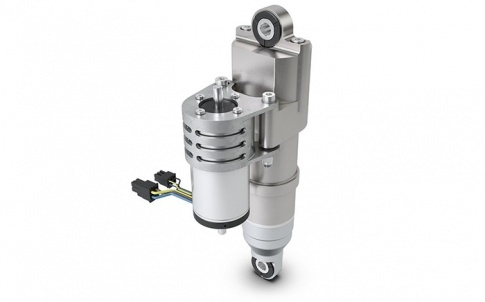 · Monitoring and maintaining optimum lubrication conditions in the linear guidance system significantly extends the operating life and consequently allows a continuously high level of manufacturing quality to be achieved. 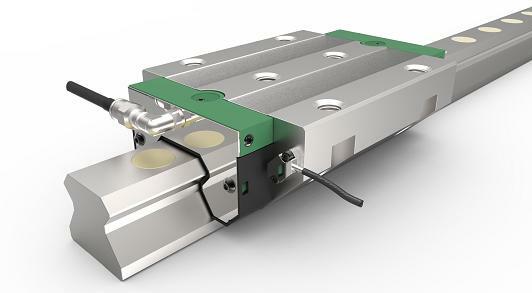 · When the loads placed on the linear guidance system are only small, up to 30% less lubricant is required. · When the inside of the carriage becomes contaminated, the “flushing” effect prevents damage to the linear guidance system. · As a result, machine downtime is reduced and the availability of the machine tool increases. 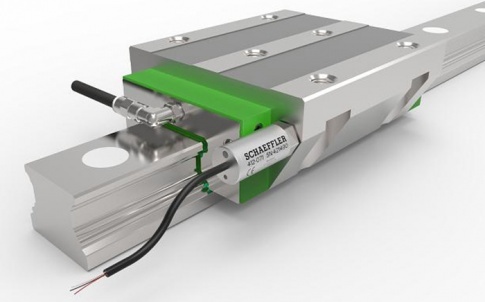 In addition to extending the operating life of the linear guidance system, the lubrication condition monitoring via integrated sensors also provides a basis for further application options, which Schaeffler will subsequently make available via its digital services. For instance, analysing the relubrication cycle intervals will allow predictions to be made on the remaining useful life of the rolling element linear guidance systems. 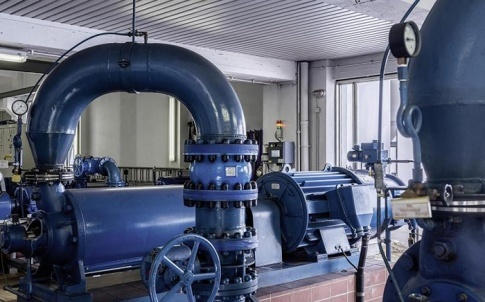 This will enable planned and requirements-based maintenance, which further reduces unplanned machine downtime and maximises machine availability.